In this blog post we'll deal with one particularly nasty topic: circular references. You might have heard about circular references in your computer science or math class on graphs. In a more practical explanation: it deals with the case when objects have a nested property to a different object, which then references back to the original one. This scenario will cause Gson to crash your app. If you want to know how you can deal with this, keep reading! The alternative title of this blog post could have been: Why does Gson cause a java.lang.StackOverflowError? 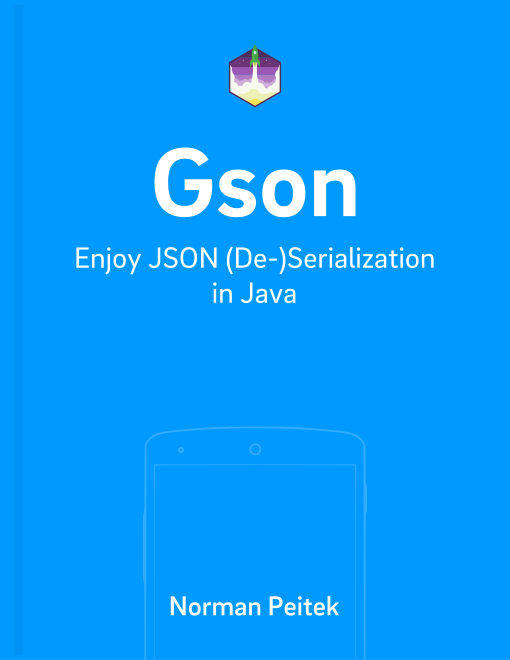 Just think of it from a serialization perspective: as you've read in the nested objects blog post, Gson needs to create a new JSON subelement for every referenced object. If object A references to object B, Gson will need to create a subelement in A for B. If B references back to A, we're stuck in an infinite loop and will keep creating new subelements, which create new subelements, and so on. Eventually, this will trigger the StackOverflowError. Imagine your app builds a family tree. Then every family member might be wrapped in the UserCircular class you can see above. Alright, the child and parent property should probably be a list, but that doesn't change anything. From a programming perspective, this is a total valid implementation. Unfortunately, you won't be able to serialize it. There's no JSON equivalent which holds the same data format, since we'll be stuck in that infinite loop. All the necessary data would still be serialized. The server would need to create the back-reference again, if that's required. In this blog post you've learned when Gson can run into an infinite loop and throws a StackOverflowError at you. You can solve this problem by excluding one graph pointer from the serialization.